The basic principles used in other design processes are also used when designing your life. We will outline each of these in more detail below. The general idea behind designing your life is that coming up with a new product or process should not be any different from coming up with the life you want to live. Principles that govern the types of designs that create new products are the same that help you create the life you want. Designing your greatest self starts with a period of discovery and curiosity as well as some experimentation. This is followed by an examination of how you are restricting yourself. Then a shift in mindset to embrace the evolving nature of what it means to “become” yourself. Finally, it is about selecting from multiple versions that you find pleasing and putting a plan into motion. At the same time, asking for help when you need assistance in the process. The basic principles described here, mirror those outlined by Bill Burnett and Dave Evans in their book Designing Your Life: How to Build a Well-lived, Joyful Life. There are many resources available online to help you navigate these steps and stages. But before you dive in, it is important to have a basic understanding of how the design process works. Here is how to do it. Step 1. Figure out where you are right now. The design process should begin with a critical examination of the four major areas of your life: work, love, play, and health. What is working well in each of these areas? How well are you balancing all of these areas collectively in your life? Take some real-time to give an honest assessment of yourself and where you are currently. If something bothers you, or you identify a problem, that is a good place to start. Designs work best when they meet a need or answer a question, so decide what your design is meant to do. There is no perfect balance between the four areas in your life. What is the right balance now may shift over time, as your priorities and needs change. Reassess this often. You want to be sure you are dedicating the right amount of focus to each area as you continue to grow. When you develop a design mindset, you will see yourself and your life as continually evolving. You will notice that working on creating your greatest self is never actually finished, but neither is enjoying the rewards of these efforts. Design is only finished when your life is over, so never stop striving in the design process. Step 2. Figure out what matters to you. After you have identified what is and is not really “working” in your life now, spend some time identifying your views on specific aspects of your life. What do you need in order to be happy with your work? 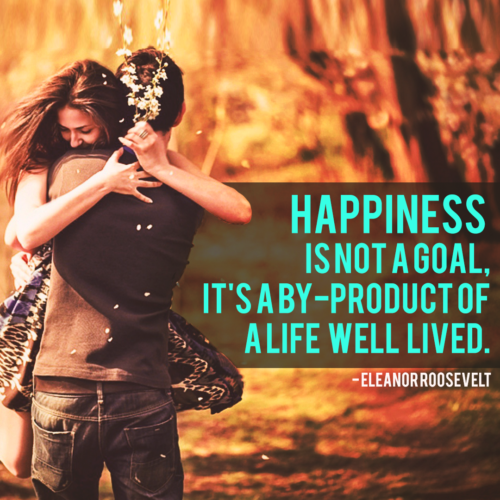 What does happiness in your personal life mean? Write a paragraph or two on these two main ideas. Concentrate on what gives you meaning and what you believe related to these two pivotal parts of your existence. This is your compass, and it should guide your future directions in designing the best ‘you’ possible. Compasses change over time, so it is important to recognize that what you believed a few years ago may not be true today. Your views on life and work will continue to change in the years ahead. Your compass is not static, which is why the design process is never-ending. Return to this exercise as often as you need, to make sure that your design is aligned with your goals and views. This step is a helpful one to understand how your daily activities affect you. Which things that you do each day bring you energy and keep you engaged? Which activities drain your focus and motivation? Log all your major activities for several weeks. Look at everything, not just what you enjoy or what is not enjoyable. What patterns do you notice? In which areas do you struggle the most to maintain attention? In which do you find yourself experiencing the most enjoyment? How can you change your schedule to take advantage of energizing activities and eliminate or at least diminish those that tend to leave you feeling unmotivated and unfocused? Step 4. Re-frame your thinking about what it means to change your life. Many who embark on this journey go into it thinking there is one new life that is the best life for them. But, design thinking teaches us that there are often multiple answers to any one question. Multiple solutions to arrive at the same truth. There is more than one answer to your problem of how to improve your life and become the greatest version of yourself. In fact, there isn’t just one greatest version of you. There are many. Instead of choosing one, you can imagine all of them. There are multiple ways your future can unfold that will bring you happiness and provide you with fulfillment and energy. Instead of trying to imagine the ONE right future, try imagining multiple outcomes that would make you happy. Step 5. Create three scenarios for your future. The authors of the book on designing your life recommend three specific futures that you should imagine. There may be others you can also envision, so do not feel you have to limit yourself to these three. However, try not to create so many choices that you are lost in options. The first scenario is probably the easiest, as it is to imagine your life for the next five years as if you are continuing on your current path. Where do you see yourself five years from now if nothing changes? The second asks you to imagine your life if your current situation were no longer available. What if your current life were suddenly gone? What would you do to support yourself? What would you do to find personal fulfillment and happiness? The final possible future is to throw off all the barriers and to imagine your life five years from now. If you did not have to worry about money or what others thought. How would your personal and professional life be in five years without these constraints? In all three scenarios, you should include personal and professional goals that encompass all four of the main aspects of a balanced, healthy lifestyle. Brainstorm around all three of the scenarios to imagine the possibilities and possible stumbling blocks. This gives you a broader perspective and can help you identify the common threads that should be present in whatever plan you decide to go with moving forward. Step 6. Build a prototype. Many in design call this step “prototyping.” Prototypes are preliminary models that can be tested before final decisions are made. These early designs allow us to test assumptions and experiment with various possible futures for ourselves. So, how exactly do you prototype your life? Prototypes in design are fast experiences that can help you quickly learn something new or test out some basic assumptions of your plan. So, this part of the process involves looking for activities you can try or things you can do that will test out some piece of your plan. Is there a volunteer activity that you can try to see if it energizes you? Is there something new you would like to learn as a part of your possible new future? Small experiments can often illuminate the path forward, identifying strengths or hidden interests and giving you some exposure to different pathways. Step 7. Choose and then move forward. After examining your prototypes and their many iterations, it is time to make a choice. Pick your top four or five best ideas and options, and carefully weigh the positive and negative aspects of each. When you have narrowed the field to just a few choices, spend several days at a time imagining your future life if you select each option. Contemplate how you will feel about each choice, one at a time. Imagine yourself in each version of the future. Which brings you the most joy, which excites you the most? Then, you make your choice. Once you have selected, though, you have to release all the other options and commit fully to your chosen path. Otherwise, you run the risk of trying to keep options open. That means you never actually commit to your dreams. Fear of missing out can destroy potential happiness. Enjoy your journey. Focus on what you need to do to achieve your dreams, and start moving forward. If you do not like where you are headed sometime in the future, you now have the design tools to start again and prototype a new solution. Like engineering, designing your life and your greatest self is an iterative process. Once you begin making progress, you need to re-evaluate how things are going. Return to your goals to see if they are still where you want to be heading. Make adjustments along the way. Any good design will be responsive to input from your experiences, so do not think that your design is set in stone once you reach this last step. Designing the greatest version of yourself and your life is a process. It comes from a commitment to lifelong learning, embracing obstacles as opportunities, and understanding that you are never really “finished” developing. You will continue to evolve and grow your entire life. By focusing on the process, rather than the outcome, you will gain more insight into yourself and be happier along the way. Throughout the design process, it is also important to remember that you are not alone on your journey. You can ask for help from others and keep yourself open to advice and feedback from those who are important in your life. The design process can help you achieve your dreams, imagine new futures, and embrace a mindset of learning and growth. By embarking on this journey, you are taking control of your life and bravely facing the challenges that we all face in our continuing adventure toward self-actualization. Keep the right mindset, and you will soon find yourself achieving new heights, ready to set new goals for your future. Next post: Do You Want To Live Your Best Life?